The green and brown colors of A Day In May collection give a wonderful vintage feel to projects. 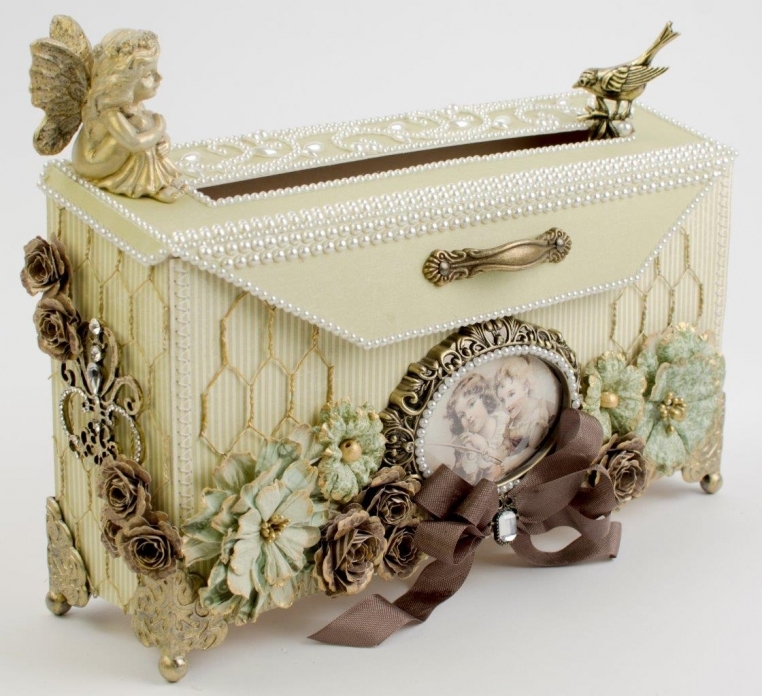 The brown flowers were made from the collection and the flower edges were painted gold to blend with the metal elements. This mailbox was actually made for my mother’s ladies prayer group to collect cards at each meeting to send to missionaries.